In a city like Paris – which has not just one or two but dozens of world-famous monuments, streets, and attractions – an overlooked site, even one crumbling into disrepair, is a treasure. Hidden in plain sight and tucked away in forgotten corners, you’ll find all sorts of ruins in the capital, ranging from a wonder of Ancient Egypt to an abandoned ghost town. 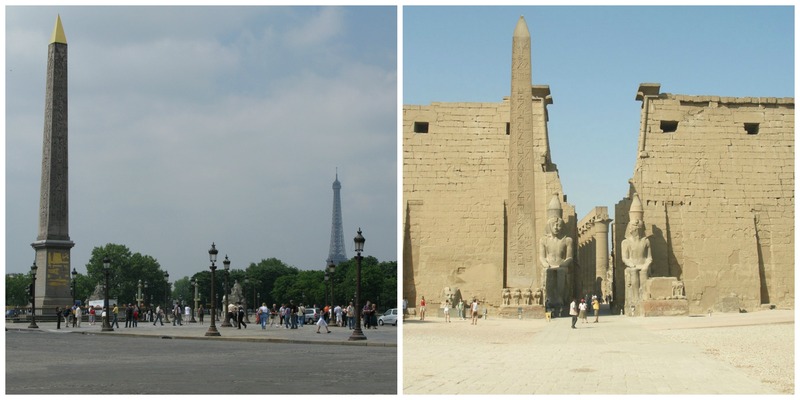 At the foot of one of the world’s busiest shopping streets, the Champs-Élysées, in the center of one of its most famous (and feared) traffic circles, the Place de la Concorde, is the 3,000-year-old Luxor Obelisk. The needle-shaped monument, which is 23 meters high and weighs approximately 227 tons, once stood next to its twin at the Luxor Temple. It was erected on October 25th, 1836, and its pedestal bears golden representations of the feats of engineering used to transport it. Below the feet of hundreds of people snapping identical photographs of the facade of Notre-Dame is a crypt containing fragments of the city that have survived its 2,000 years. 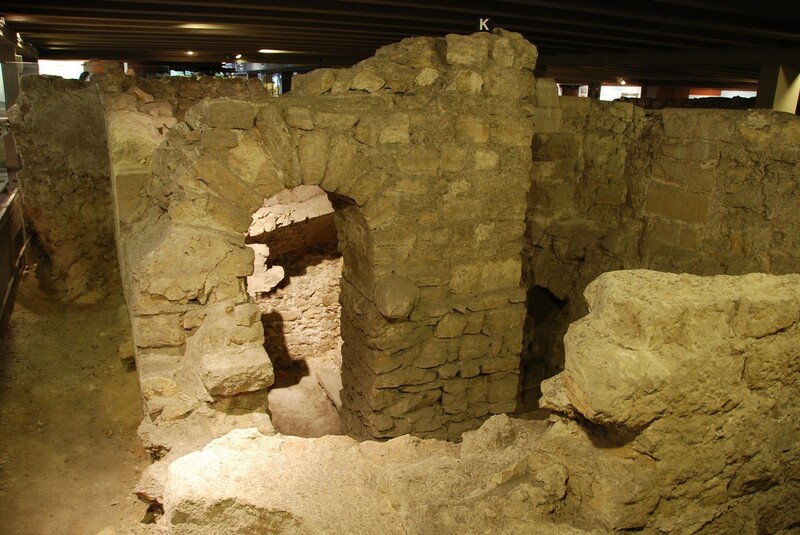 Almost 40 years ago, the vault was converted into a small museum where visitors could see how Paris evolved from a small Gallo-Roman settlement called Lutetia into a vast modern metropolis. 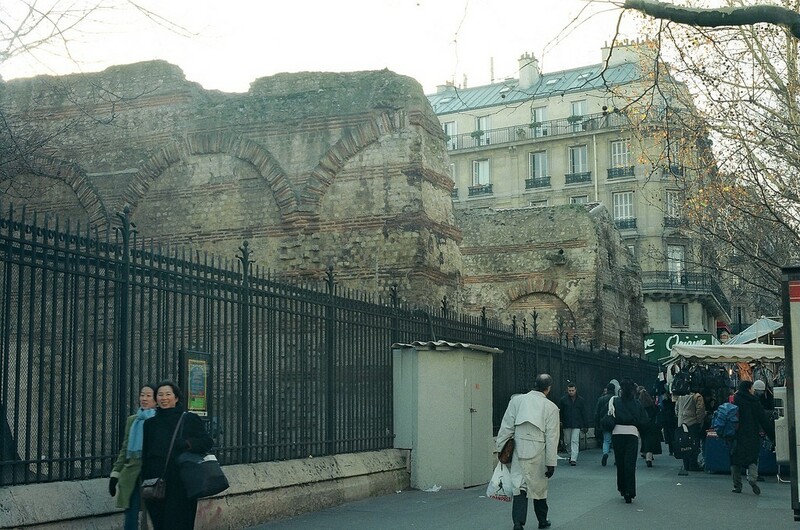 Walk along Boulevard Saint-Germain on a luxury shopping expedition and you’re likely to miss the Musée National du Moyen Âge, which contains much of the Thermes de Cluny, a set of Gallo-Roman thermal baths from the 3rd century. The remains represent only one-third of the complex that once existed. You can see some of the ruins from the street but the best of them are within the museum. 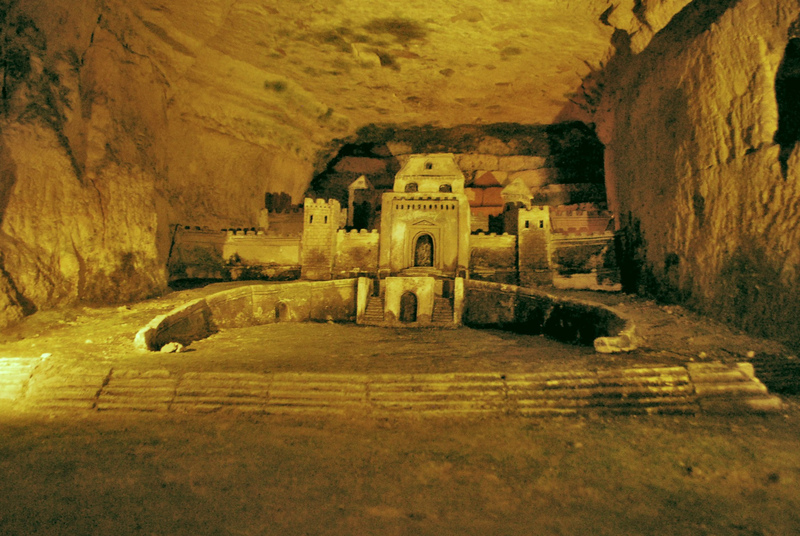 Another subterranean ruin is the Catacombs, a partially abandoned network of quarries that span over 200 miles. Famously, sections of the mines were converted into ossuaries to hold the bones of six million people moved from the city’s overcrowded graveyards between 1786 and 1788. The ‘world’s largest grave’ has been open to the public since 1874 and today queues stretch around the block from its entrance. Cataphiles, a group of passionate explorers, also illegally explore the network in its entirety by night. The ‘Little Belt’ is a disused railway line that once traced the 32-kilometer perimeter of Paris. Construction began on the grand plan to link all of the city’s major train stations in 1852 and was completed 17 years later. From 1924, stretches of the line have been abandoned and the final section was shut down in 2011. Access to much of the track is forbidden but there is a redeveloped portion in the 15th and a restaurant in the 18th arrondissement that let you experience it without breaking any rules. At the start of World War II, the French government shrank the size of the Paris Métro system from over 300 stations to just 85. After the city was liberated, stations were slowly reopened with the exception of three: Arsenal (M5), Champ de Mars (M8), and Croix-Rouge (M10). Saint-Martin (M8 and M9) was reopened but shut again due to its proximity to Strasbourg-Saint-Denis. Two other stations, Haxo and Porte Molitor, were built without ever being opened. Occasionally, access to these forgotten time capsules is organized by the RATP or other approved associations; otherwise, they are strictly off limits to the public. 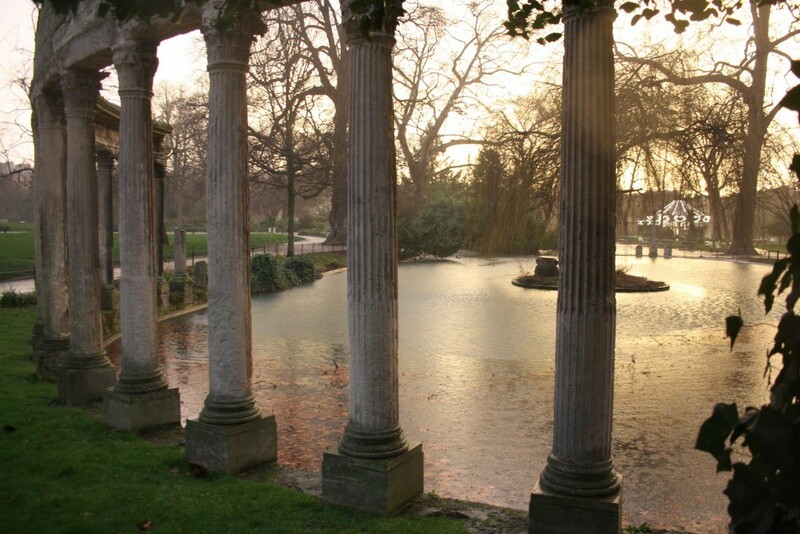 Parc Monceau was created in 1778 for the Duke of Chartres, Philippe d’Orléans, the cousin of Louis XVI. He wanted to display his eccentric tastes to the public and create a park filled with wonders from around the world and across the centuries. To this day, it contains replicas of a Roman colonnade, an Egyptian pyramid, a Tartar tent, a Dutch windmill, a temple of Mars, and numerous antique statues. Another Gallo-Roman ruin, the Arènes de Lutèce was once an amphitheater that could accommodate 15,000 spectators. It was constructed in the 1st century AD and by 280 AD had come to be used as a cemetery. It was filled in completely by 1210 and was only rediscovered with the construction of Rue Monge in the 1860s. It was then partly uncovered and made into a public square, opened in 1896. What you can see today is approximately one-third of the original site. 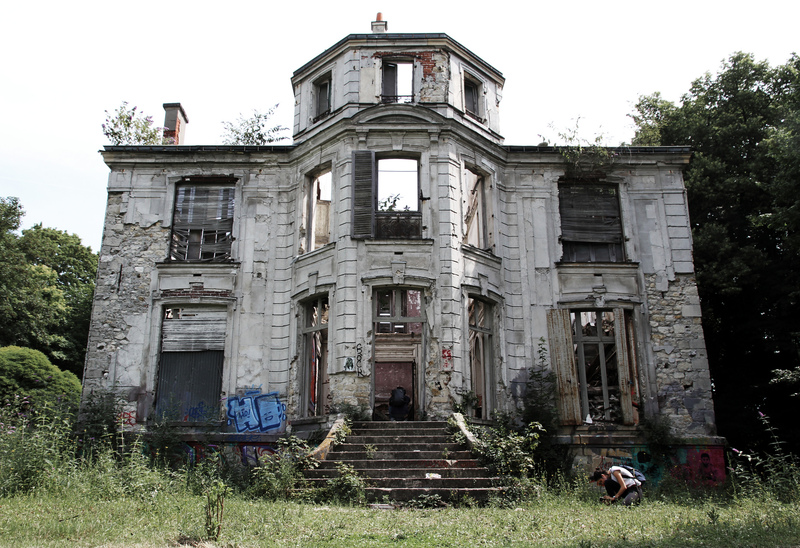 A few minutes north of Paris on the RER D or the H Train is the ghost town Goussainville-Vieux Pays, abandoned by most of its residents over 40 years ago. The village is in the flight path of Charles de Gaulle airport and in 1973 a plane came down and smashed through 15 houses and a school, killing six crew members and eight locals. Villagers were given the choice to relocate and almost all of them did so immediately, leaving behind possessions that can still be seen inside the houses today. The Jardin d’Agronomie Tropicale was constructed as part of the Exposition Coloniale in 1907. It contains a selection of pavilions built to represent French colonies in the Congo, Guyane, Indochina, Morocco, Réunion, and Tunisia. Each was home to a family from each of these places and the site acted as a ‘human zoo,’ a popular form of attraction at the time. The park has long been abandoned and the buildings and statues inside it are crumbling and overgrown with vegetation.